See Jim at work cooking a meal from a our friends at the West Wondsor Farmers Market. 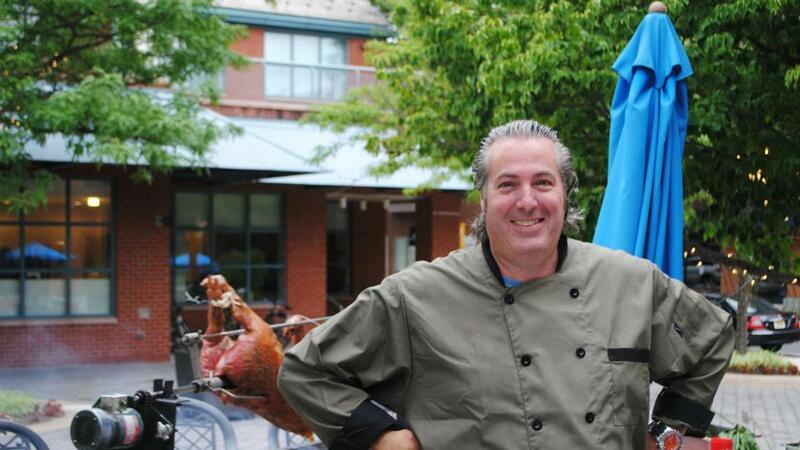 Jim Weaver, Chef-Owner of Tre Piani restaurant and author of Locavore Adventures, is a New Jersey native. He has cooked professionally since 1980 and attended New Hampshire College for Hotel Restaurant Management. He has trained in Italy and the Caribbean and led some of the top restaurants in New Jersey. Among the awards that he has won are; Chef of the Year for 2002 from Share our Strength, 5 Star Diamond Award from the Academy of Hospitality Sciences, Dirona-Distinguished Restaurants of North America and stellar reviews from many newspapers, food critics, television and radio hosts in New Jersey and New York. organization that serves to preserve and promote local food traditions, flavors and artisan producers of food and beverage products. Jim is also the author of Locavore Adventures, One Chef’s Slow Food Journey (Rutgers University Press 2012) with a forward by Carlo Petrini. He is currently the executive chef and owner of Tre Piani Restaurant and Tre Bar in Princeton, New Jersey established in April 1998.
in 2013 Jim Weaver named BEST CHEF AMERICA.